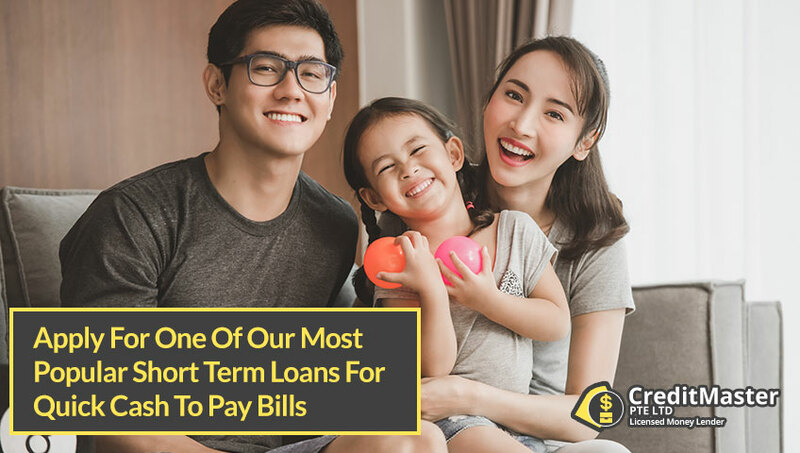 From time to time, we find ourselves in situations where we have a pressing need of additional money, and you can benefit from taking a short term loan. These quick cash loans are unsecured, which simply means that you don’t have to worry about putting up any security or collateral. To qualify for such a loan, you only need to show that you are earning a steady income either from a business or employment. These loans are not just open to Singapore citizens. If you are a foreigner in a money crunch and having a very stressful time you too can benefit from the same. You just need to show that you are legally living and working in Singapore. Finally, you must be over 21 years old. We have been in business for quite a long time and have established a name for ourselves. As a legally established and licensed moneylender, we offer a variety of loan services in Singapore to suit every need. Our short term loans tend to be for urgent needs, and requires no security. The credit we offer is meant to be quick and easy to apply. As long as you turn in your application along with all the necessary supporting documents, and once the loan agreement signed between you and CreditMaster Pte Ltd, you will be able to get the cash you need on the spot. We process the loan approval quickly, walk you through the loan agreement before signing, and when you are comfortable with everything, we go ahead and sign the agreement for the loan so that you can get the amount of money that you need. When Should I Consider to Take Out Short Term Loans? Anything urgent to solve financial will be in need of a short term loan. It can be used to resolve all kinds of financial needs such as medical emergencies, car repairs, to pay off utilities or rent when you can’t seem to make ends meet for one reason or another, and the like. Everybody goes through difficult times every now and then, and there is no shame in asking for financial help when you need it. Of course, it is recommended that you take a loan responsibly by making sure that you do not borrow more than you can comfortably pay back. Click here to start your loan application. Who is a Licensed Moneylender that Provides Quick and Legal Personal Loans? In short, a licensed moneylender has been given a legal mandate to offer credit solutions. They have the right credentials and are registered with the Ministry of Law. They also carry a license number that proves they are legitimately in business. Unfortunately, not every moneylender in Singapore operates legally, that is why you must carry out due diligence before taking a loan from any lender. Check out this link for the latest list of licensed moneylenders in Singapore. CreditMaster Pte Ltd is fully licensed to offer fast loans to its clients. I Have Urgent Medical Bills that must be paid in these 2 days, but my Credit Record is Bad. Can CreditMaster help me? When you or a member of your family falls sick, they have to be attended to medically. This can drain your finances because medical care is expensive. 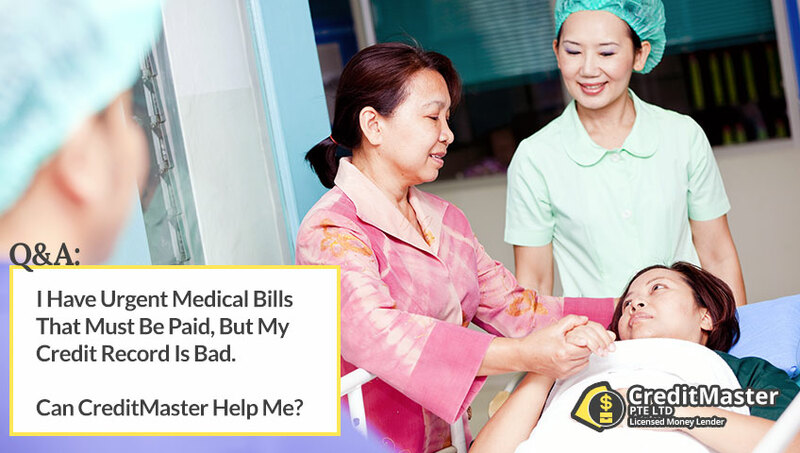 If you need help settling medical bills, we can extend a fast cash loan to you even if you have a bad credit record. We have put together personal loan packages for people with bad credit. You will find that we have attractive interest rates, a fast approval process, and our executives are ready and willing to walk you through the process so that you understand the terms and conditions that come with the loan. Of course, you will need to prove that you are currently employed or in business and are earning a steady income. Once we give you the loan and you pay it back, it will be reflected in your credit report and will improve your credit rating, which is an added benefit for you. If your credit is bad getting a loan from traditional financing sources, such as a bank is next to impossible. However in our case we can be a reliable partner for your financial emergencies and help you rebuild your credit in the process. My Car Broke Down and I need to Fix it Urgently. I need Extra Cash for this until my next Salary comes in. Will CreditMaster be able to help me? You are driving down the road and hear a clanking noise coming from somewhere in your car. You have it checked out only to be told that you can’t drive the car until you fix the problem or you could end up damaging the car even further. When you receive the quotation for purchasing car parts and fixing the problem, you break into a cold sweat. You don’t have that kind of money and you need the car for an upcoming business trip. What do you do next? Contact CreditMaster. Our quick cash short term loans are approved fast, and the money you need handed over to you just as swift. You will need to first put in a loan application. From there, we will need to assess your ability to pay back the loan. This means that you will need to provide us with proof that you are indeed employed or in business making a steady income. If employed, we will require that you provide your employment contract that states how much you earn. Additionally, we will need two of your latest bank statements and the last 3 pay slips. If you are in business or if you work on a commission, you will need to provide us with your last 2 income tax returns from which we are able to determine how much you make on a monthly basis. The reason why we ask for this information is so that we can see how much you can comfortably pay back every month without being overly strained. You will be happy to know that we look at a variety of factors to determine your ability to repay the loan. This simply means that even if you have a low credit score, we can still give you a loan. If you have been declared bankrupt in the past, you need not despair. With a discharge letter, we can still get you some cash. Our ability to loan money to people from all walks of life, facing different situations including bankruptcy and poor credit, makes us a much better option than traditional lenders and banks. These require that a person who has been declared bankrupt wait for as many as five to seven years before he or she can start getting any credit. The only time that CreditMaster says no to anyone is when they have exceeded their capacity to borrow. My Parents Are Celebrating Their 30th Wedding Anniversary Next Week. I Need To Buy Them A Unique Gift But Have No Extra Money On Hand. Special occasions that demand special gifts come up from time to time. It could be your child’s graduation, your parent’s wedding anniversary, or your spouse’s birthday. During such occasions, you are expected to purchase a memorable gift, throw a party, or just basically do something special. If you are in a financial crunch and don’t have a place to turn to that will give you the money quickly, you can end up sorely disappointing those you love. That is why CreditMaster makes a reliable partner. Someone may argue that you saw these events coming and should have saved the money needed. In truth, most people are struggling financially due to the high cost of life and the state of the economy. This means that most average Singaporeans are not in a position to save like they did previously. Additionally, for those who can save, the money put away is usually not enough to get them out of every financial crisis they find themselves in. When you are having a financial emergency, turning to family and friends may be not ideal. Perhaps you have been to them several times before, or they too may not be in a position to help you out. Speak to us about a short term loan ensures that you get the money you need, without having to ask family or friends for a loan, which could lead to strained relationships. I’m Coming Up Short In Rent Money This Month And Need A Top Up Urgently. Some people have too much money at the end of the month, while others end up with barely enough to get them through the end of the month. 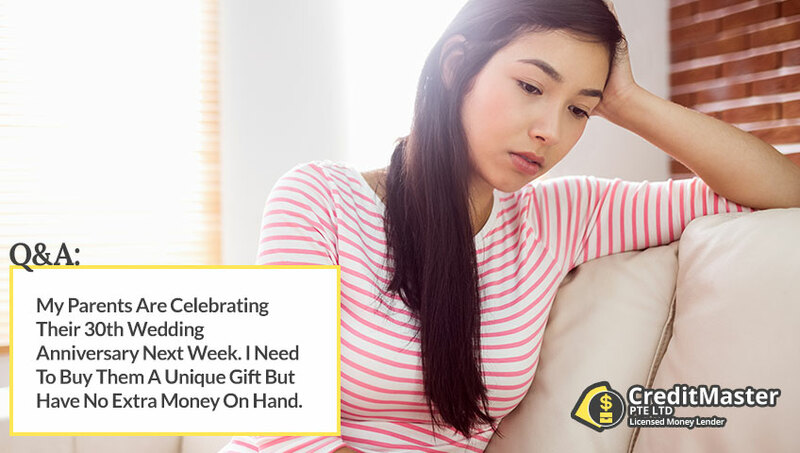 If you can’t seem to make ends meet for one reason or another this month, we can help you meet your obligations by giving you a loan to tide you over. However, we understand if you are shopping around for a short term loan because it is prudent to ensure that you are getting the best deal possible. Whenever you are reviewing the various options available to you, you need to look at several things including the conditions and terms that come with the loan, the loan amount that you can get, the terms of repayment, interest rates and other fees and charges as well. Here at CreditMaster, you will find that we offer very competitive interest rates regardless of the loan product you look at. This means that the costs associated with taking out the loan will be less. Additionally, our loans do not come with hidden charges of any kind. We have painstakingly built our reputation and would never soil it by carrying out any shoddy business. You can trust us to be a reliable partner who always delivers quality service. I Have Decided On CreditMaster As My Moneylender, Where Do I Start? When you finally decide to get your loan from us, you will begin by first figuring out the loan amount. This means you will need to first look at the needs you have, consider overhead costs and then come up with a close estimate. You don’t want to take out a loan only to find that you actually needed more money. On the other hand, it is advisable not to take more than what you need since this will only increase the cost of the loan and your debt burden unnecessarily. With an estimate that is as close as possible, you then need to figure out if a loan can give you the full amount you need. If you already owe other institutions money, getting the full amount may not be possible. Responsible lending means that we cannot give you more money than you can pay back comfortably. If you are overextended, we may only be able to give you a portion of the amount that you need. Most of the people who put in for a personal loan have an emergency that is time sensitive. Because of this, it is imperative that the loan is processed as quickly as possible. It is advisable to call the office in advance and find out which documents will be needed in order to process the loan. With that information, you can fill out and submit the application form and have the support documents ready to be verified. The verification process is quick and once we ascertain that everything looks good, the loan will be approved. Confidentiality is upheld at CreditMaster. We will treat the information you provide with integrity.  In fact, the reason why we do not allow people to submit their supporting documents online is to ensure confidentiality. When online, put in your application for a short term loan, and then wait to hear from one of our customer representatives who will ask you to come down to the office so that you can personally hand over the documents. Whenever you have a financial crisis, you want to turn to a trustworthy service. CreditMaster is a lender that you can trust to be available in the tough times. When you get in touch with us, we will go all out in making sure that you get timely, quality and customized solutions for the financial problem you are facing. A very pressing financial crisis can make one feel desperate for a quick solution. This does not mean you should throw caution to the wind. Be sure to carry out research on the various moneylenders that you may be looking to for financial assistance. This will help you make the right decision. Moneylenders can offer you a non-secure or a secure loan. If you want to go with a secured loan, you need to provide security or collateral to back the loan. An unsecured loan, like our short term loan, can be accessed without the need for any security. With a bank statement and proof of income, you can get the money you need. Is There Anything Else I Need to Know About Quick Cash Short Term Loans? Our short term loans can be used for just about anything. That is the best thing about them. If you need to start a business, pay off debt, pay rent, or just meet some of your day to day expenses, you can use this loan. Most borrowers are usually concerned with the interest rate that they will pay. In order to find the best interest rate, you will need to speak to the different moneylenders and make a comparison since they each offer different rates. The term of repayment is often another concern. This tends to be flexible and is often made in instalments and not in lump sum. The amount you pay back every month is based on how much money you earn and your ability to repay. Make sure that you are comfortable with the repayment period and the amount of money you will be expected to pay back every month. Another major concern is the legitimacy of the financial institution from which you borrow money. Be sure to only work with professional, licensed moneylenders who are registered to offer these services. If a financial institution does not have the right credentials, it often means that they are not qualified to provide you with financial solutions. Remember that if your credit history is poor, accessing a loan from a traditional financial institution or a bank will be difficult if not impossible. This makes a licensed moneylender like CreditMaster your best option. We are willing to take a chance on you by offering you a loan and by so doing start you on your journey to recovery as far as credit worthiness is concerned. Not only do we offer you the loan that you need, we will be happy to help you plan your finances so that you can do better with personal finance management in the future. Fill up our loan application form and start today.